Hey there! Just wanted to say a quick welcome to my website! I appreciate you taking the time to check it out! I’m very new to the blogging world, but I’ll try to post on here often and keep you updated on what myself, and my musician friends are doing and where our music takes us. These guys below are my best friends and the main group of musicians that I work with. You’ll be seeing/hearing a lot of them on here as well as on all of my records and the majority of my concerts/shows. 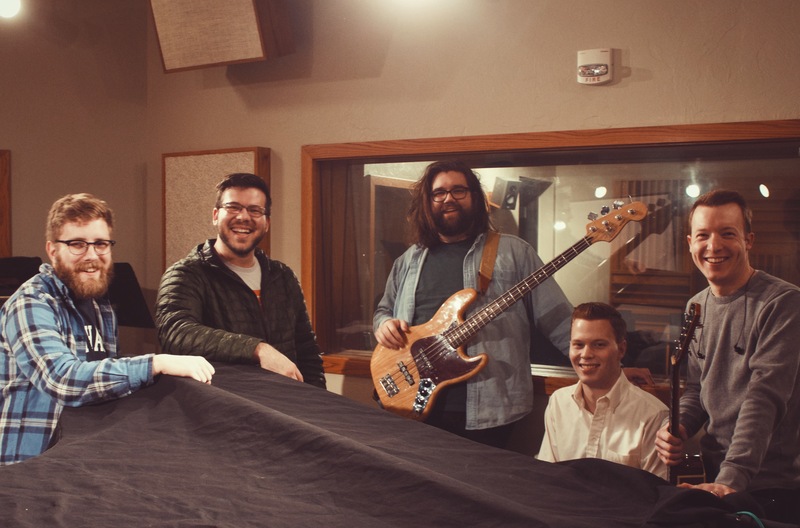 Say hi to Caleb (hand on piano), Tim (Engineer), John (standing to my right), and Jared (on my left)! These are the boys who make the noise!